The Greek debt negotiations are not running aground over principles. They’re not disputes about substantial sums of money. Politics and pride led to the latest rupture of talks on Sunday evening. A deal can still be done, if only these powerful forces of division can be overcome. It sometimes sounds like there is a passionate argument over grand principles of regional solidarity and domestic sovereignty. The Greek government speaks of red lines which cannot be crossed, most notably on state pensions. The euro zone and the International Monetary Fund declaim about fiscal responsibility and economic realism. However, there is far more agreement than dispute. All concur that Greece’s economy cannot thrive without tackling tax evasion and curbing the government’s clientalism and smothering bureaucracy. To judge from the latest writings of Yanis Varoufakis, the Greek finance minister, and Olivier Blanchard, the lead economist at the IMF, there is no longer any dispute over the need for many years of Greek fiscal restraint, accompanied by many years of subsidised financing. Also, everyone admits the original restructuring plans worked very badly. Crucially, both sides recognise that small losses are better than big losses. And the potential losses from compromise are indeed small. For the Greeks, a full surrender to the creditors’ latest fiscal demands would reduce government spending by about 2 billion euros, an easily manageable 1 percent of GDP. For the euro zone, a full surrender would add an almost invisible 0.02 percent of euro zone GDP to their financing commitment. The potential losses from failure are many times larger for both sides. If Greece loses the support of the euro zone, its financial system would crash, its economy would almost certainly follow and institutional reform would probably be crushed. There would be less money for the creditors, who would also have to reckon with the uncertainty of a loss of confidence in the euro zone project. With the differences so small and the potential damage so great, a deal can still be done. The main obstacle now is politics, mainly on the Greek side. The ruling Syriza party is divided. On both sides, there is also pride to be given up. That’s hard, but the alternative is a mighty fall. 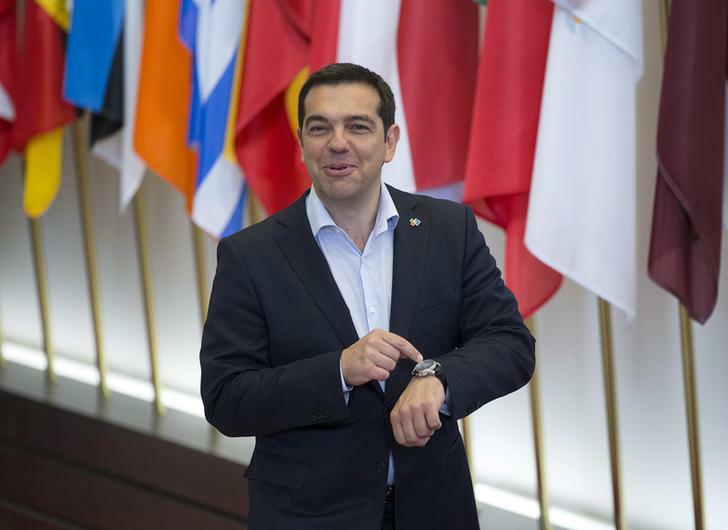 Talks on ending a deadlock between Greece and its international creditors broke up in failure on June 14, with European leaders venting their frustration as Athens stumbled closer towards a debt default that threatens its future in the euro. European Union officials blamed the collapse on Athens, saying it had failed to offer anything new to secure the funding it needs to repay 1.6 billion euros ($1.8 billion) to the International Monetary Fund by the end of this month. Greece retorted it was still ready to talk, but that EU and IMF officials had said they were not authorised to negotiate further. Athens insists it will never give in to demands for more pension and wage cuts. In an interview published on June 15 with the German Bild newspaper, Yanis Varoufakis, the Greek finance minster, said: “We want no more money from Germany”. He said that Greece would forego any further aid if the European Central Bank, the IMF and the European Union would offer a debt haircut. In a blog post published on the International Monetary Fund website on June 14, Olivier Blanchard, the lending organisation’s chief economist, said: “Just as there is a limit to what Greece can do, there is a limit to how much financing and debt relief official creditors are willing and realistically able to provide given that they have their own taxpayers to consider… We are open to alternative ways for designing both the VAT and the pension reforms, but these alternatives have to add up and deliver the required fiscal adjustment. On the other hand, the European creditors would have to agree to significant additional financing, and to debt relief sufficient to maintain debt sustainability”.